Which Halloween costumes are most popular right now? Google knows. It’s shared the top 10 for this month and Frozen dominates with Elsa and Olaf in positions #1 and #2. What happened to Black Widow’s face? 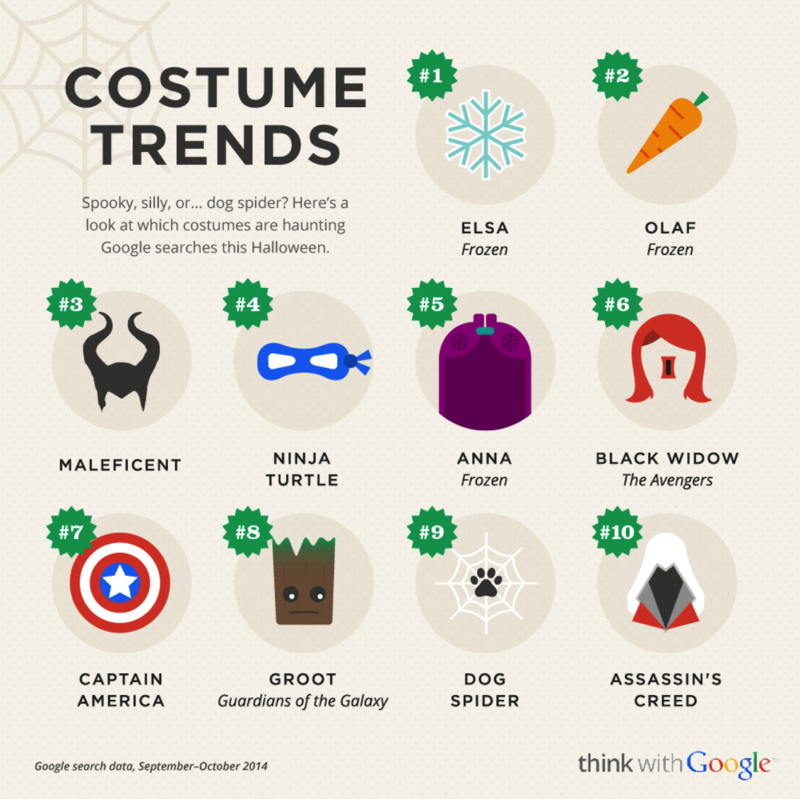 Google’s post is actually a case study into some clever search marketing that Buy Costumes did. The retailer predicted the surge in interest on Frozen costumes and made sure they were bidding on the keywords. The assumption is that they also had stock. Assassin’s Creed is still there flying the flag for computer games. It’s a popular cosplay too. Notice Dog Spider? That’s from this video.